Customer Reviews – Robco Electric Inc. The true measure of any company is how they treat their customers. We work hard every day to deliver the experience you deserve. If you are looking for solar panels in Las Vegas, Mesquite, Henderson, Laughlin or Pahrump, we are the top rated locally owned installer on Yelp!. Check out these customer reviews from some of our Robco solar panel customers. 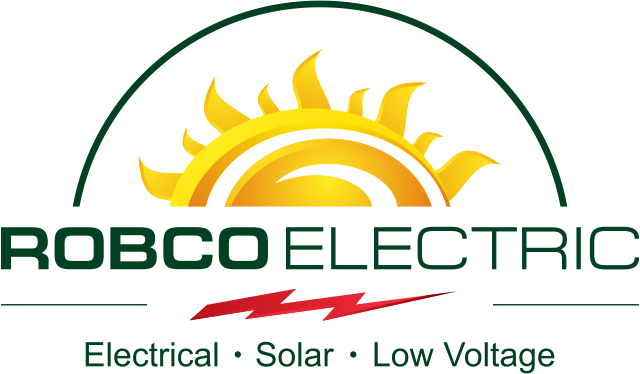 When you are looking for the best solar companies in Las Vegas, Robco Electric should be at the top of your list. “The real thanks go to the quality of the people you send out to do work both in your solar business and in your regular home electrical business. After a lifetime of dealing with electricians in both commercial industrial applications and residential I’ve learned that often times residential electricians are less than knowledgeable and diligent. Your guys have always been top notch and the difference is notable. Excellent experience with Robco Electric. Here is the bottom line up front on Robco…excellent owner, excellent sale staff, excellent engineering, and excellent installers. Communication was seamless and easy from first meeting. Robco takes care of everything. See the photo of my install and then look at your neighbors solar. Some may not care but the pride in workmanship is a cultural standard here. No crazy conduit all over the wall (lazy) or conduit on over roof. Very cleanly installed panel then went through wall into garage and up into attic and across house to roof. And what about their flashing around panels…very good looking and pigeon proof. All of this at no extra cost…they just do great work. Think solar is all the same and going for best price? Just do a little homework and you’ll see not the case. Steve Carver came out to our house in one day to give us an estimate and explain the process. Very patient and laid everything out for us. Cam back a that afternoon with a drone and took still photos and video of the roof to make sure they captured every vent and option for installation. Within two days came up with complete estimate and worked very patiently with me on changes I wanted (size of system, roof layout to account for pool solar, etc). Office communication was excellent. Handled everything with pdf documents, all HOA coordination, staff scheduling, and DocuSign for e-documents. Very easy! Engineering did great job dealing with my roof vents and the future pool solar installation to come up with a good solution. Installation was impressive. 1.5 days. Team showed up on time, unloaded equipment and got to work. Electrician works panels, another team worked lines to system, and roof team did braces and started installing panels first day. Second day was just finishing a few panels. Very clean, very polite, very professional. Been 10 days and received rebate. Easily passed inspection day after install. Just waiting on NV Energy to hook up the new meter and give us clear to operate letter. Of course NVE like any utility co works at its own pace and has 20 days to complete. I have dealt with about a dozen contractors in last 3 months doing all our exterior projects and wish everyone was organized and run like Robco! I had a Solar Electric system installed by Robco Electric about 2.5 years ago. I signed the contract on 4/20/15 (yes, I went “green” on 4/20). I have 22 panels and have generated 25.3Mwh (1 Mega Watt Hour= 1000Kwh so this equals 25,300Kwh). According to my Enphase energy reports, this is 102% of expected output. Since electricity costs about $.11 per Kwh, I’ve created about $2,783 worth of electricity. Basically I make/save about $1000 per year on electricity. The system minus the 30% federal tax credits should be paid off in about 12 years total (about 10 more years). After that, it’s basically free electricity for the next 20+ years. If anything goes wrong, I would just need to replace a small micro-inverter or a single panel, so I’m sure the system will go 30 or more years. The salesperson Tim was very experienced and answered all my questions. Installation was done very well. I had them put pigeon proofing around the lower edge between the panels and my tile roof, and no birds have tried to get in there. The only minor issue I’ve ever had is occasionally my enphase box (it reports power generated per panel in 5 minute increments) will lose the wifi connection. I get an automated email that says if it stopped reporting in data to the cloud. I just cycle the power to it and it reconnects and uploads the saved data. Its pretty neat to compare data on 8/21/2017 vs 8/22/2017 for the difference caused by the Solar eclipse. I recommend them. I planned my panel layout so that I can add more panels later if needed. I have since bought a small electric car, but when I get my Tesla Model 3 in early 2018, i will probably need more panels from them. Ready for a quote on solar panels in Las Vegas from the top rated solar company in Las Vegas? Fill out the form below and we’ll get right back to you. We decided we wanted to put solar on the house to reduce our electric bill in the long haul and also to be more environment-friendly. We got bids from three contractors. We selected Robco based on their reputation and customer service, knowledge about solar systems and price. They were not the cheapest but their price was in the middle range and in the end, we determined they were a good value. They did have to reschedule our initial installation date due to running behind on other projects, but they made good on a promise to install on the second date we scheduled. The installation itself went flawlessly and was professionally done. They answered all of our questions and went out of their way to make sure we were satisfied with everything. They handled our HOA with ease and there were no concerns. I was very impressed how service oriented Robco is. Even when they are busy, they answered every question we had, either by email or phone. The project manager always made time to help us and was professional, patient and courteous. Our sales rep also made sure we were satisfied with the project. Our solar system is now up and running and our power bills are melting away. Already we have seen a 70% drop in our bills and when the heat lets up we should be making more electricity than we use. We look forward to not having to pay the electric bill next summer. Given the experience, I would definitely hire Robco again! We also chose Robco to install our Solar and were extremely satisfied all the way around. We were highly impressed with our representative, Bruce, whose knowledge was unbelievable. We would highly recommend Robco to install solar for anyone. The workmanship is outstanding, they’re efficient, they inform you upfront and don’t create pressure or dishonesty. We have been totally satisfied and recommend Robco. Our Solar was installed in 2015!